The B 66 is the first of a new generation stretch-blow moulding machines. 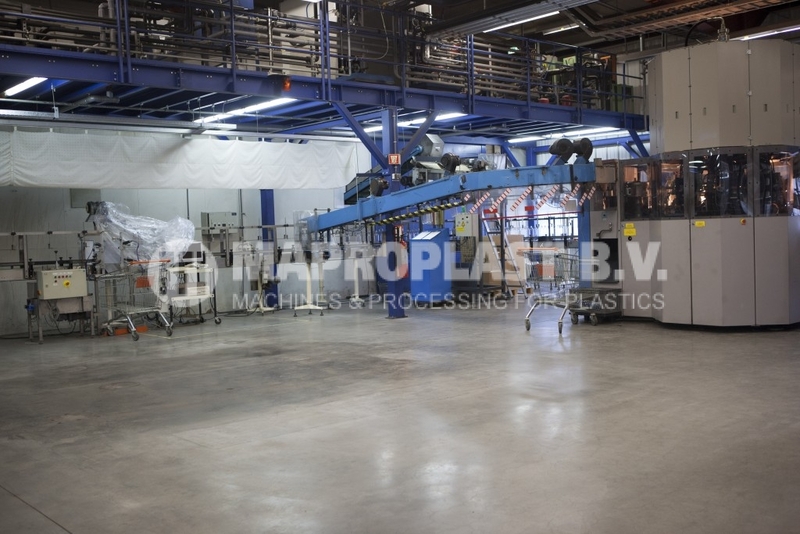 it is the successful combination of advantages inherent in the proven and refined B60 system and the technology of a new, efficient blow moulding station. 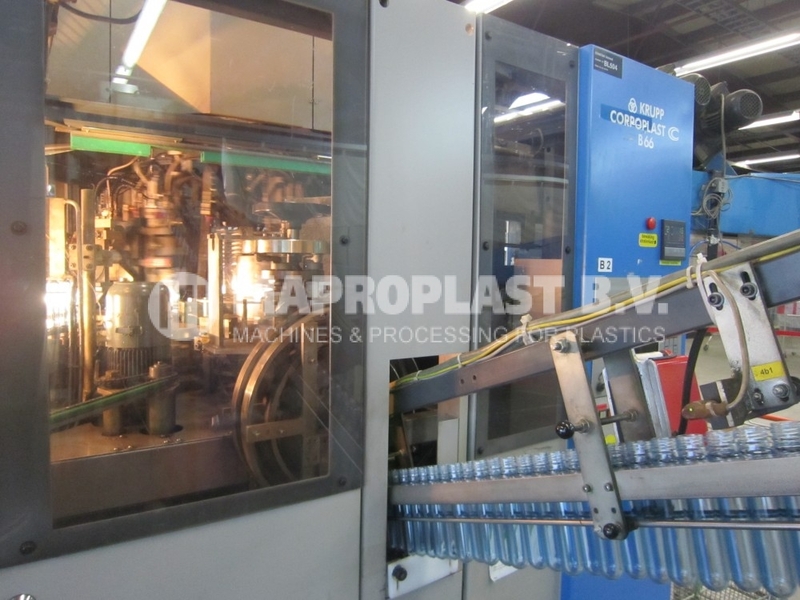 As the first six-mould machine, the B 66, producing 6,600 bottles per hour, has a 10% higher output than comparable machines on the market. 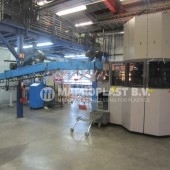 This represents a mould-specific rate of 1,100 bottles per station for one-piece soft drink bottles. 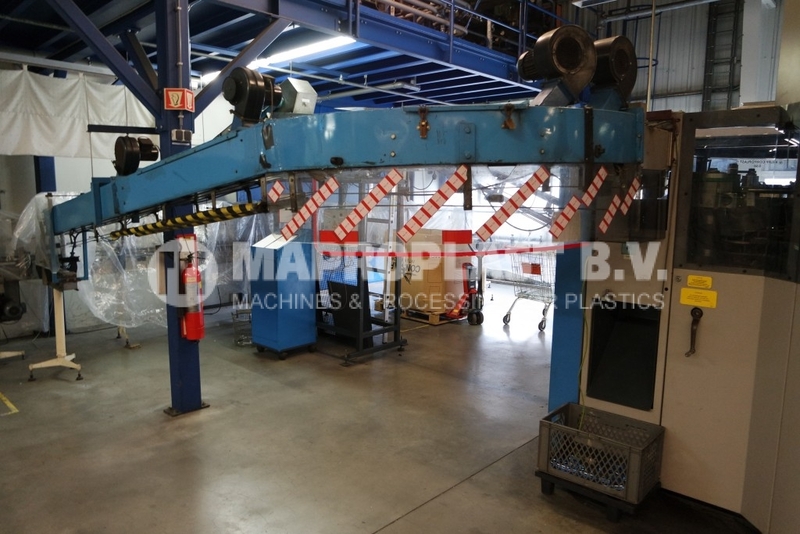 The B 66 has been designed not only for the manufacture of high quality PET standard bottles. 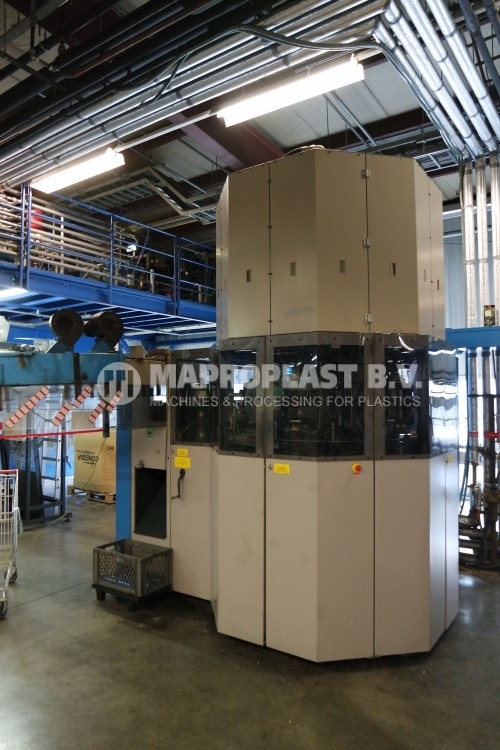 The machine features system innovations for extended production possibilities, with a view to bottles with a superior and difficult design. 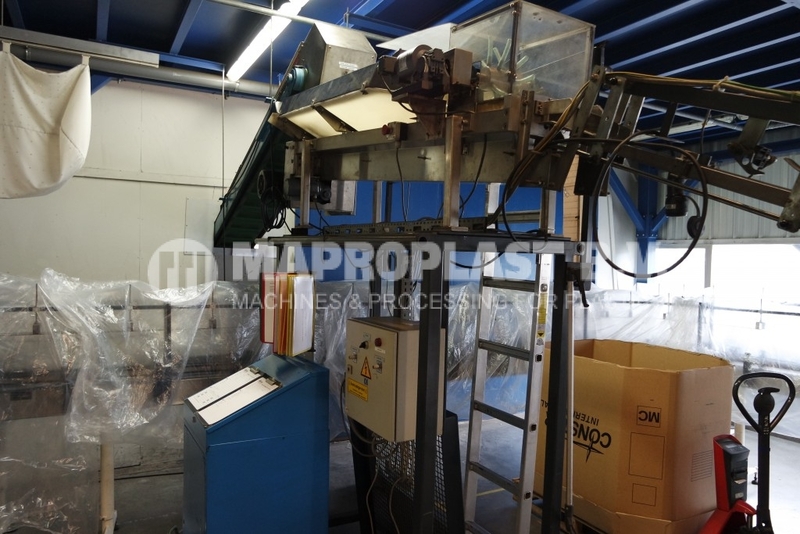 In particular, it offers the opportunity to run a sophisticated process for the manufacture of refillable and hot fill PET bottles- a machine suited for almost every PET application. 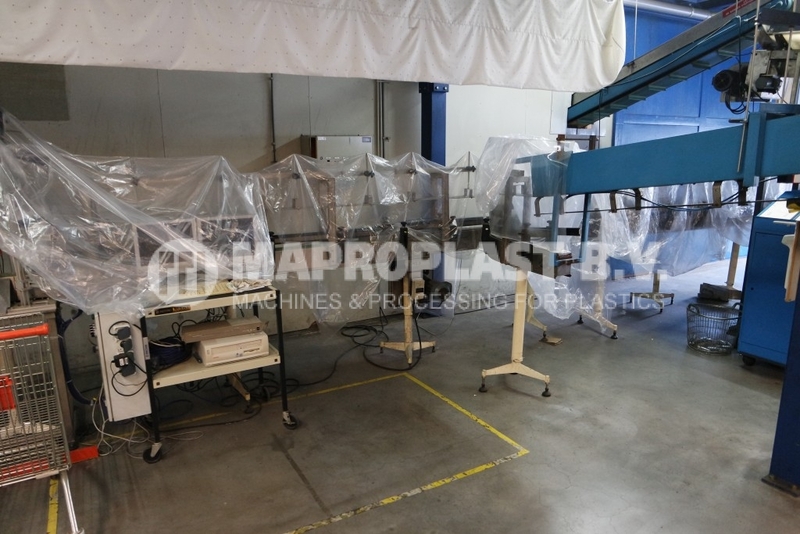 The new blow moulding station, The new robust cam- controlled tandem stretch cylinder with a two-phase lifting system generates the necessary power for the stretch rod to stretch the preforms axially. Main features are low maintenance requirements and simplified design. A dynamic clamping device guarantees that the mould halves close without gap clearance, thus ensuring the manufacture of high quality bottles which retain their shape. 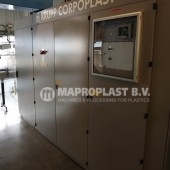 The self- regulating blowing air-controlled additional facility prevents any possible breathing of the moulds, even in the case of extreme blowing pressures. Along with the proven bolt locking device, this system is now also part of the blowing station’s standard equipment. 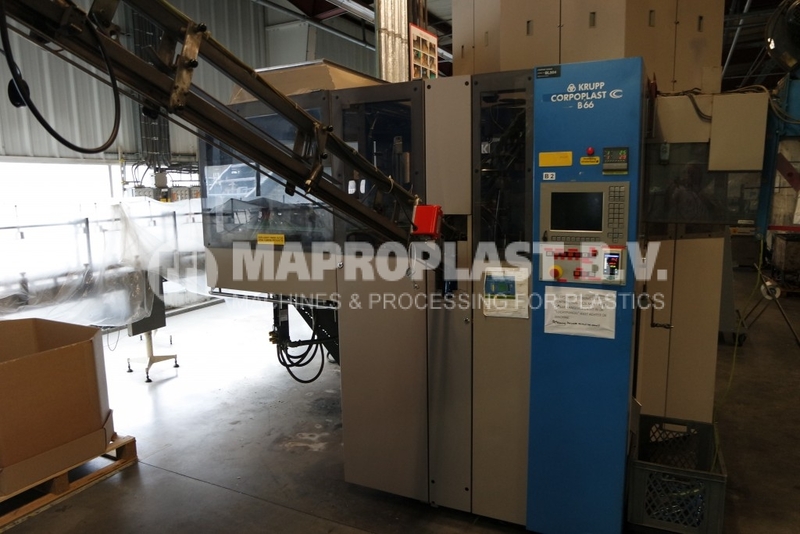 Quick-change installations on the blow moulding station, which is a modular construction, and the easy replacement of the product dependent parts make the B 66 very flexible. Special cut off devices for the water hose equipment and self- adjusting mould halves facilitate an accelerated and simplified changeover of the moulds. The required changeover time has thus been reduced by half. 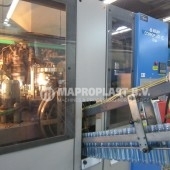 Electromechanical blowing pressure valves which are controlled completely electronically by an intelligent processing unit on the blowing wheel ensure that the points of connection for blowing compressed air can easily be set from the operating console without the machine being stopped. Stable station gripper arms also permit production of the one-piece 3 litre pressure bottles under high blowing pressure. All known stationary and dynamic load scenarios have been simulated (FEM) during the development stage, the findings have been taken into consideration accordingly. All movements of the blowing station are driven mechanically, resulting in less maintenance and less wear. 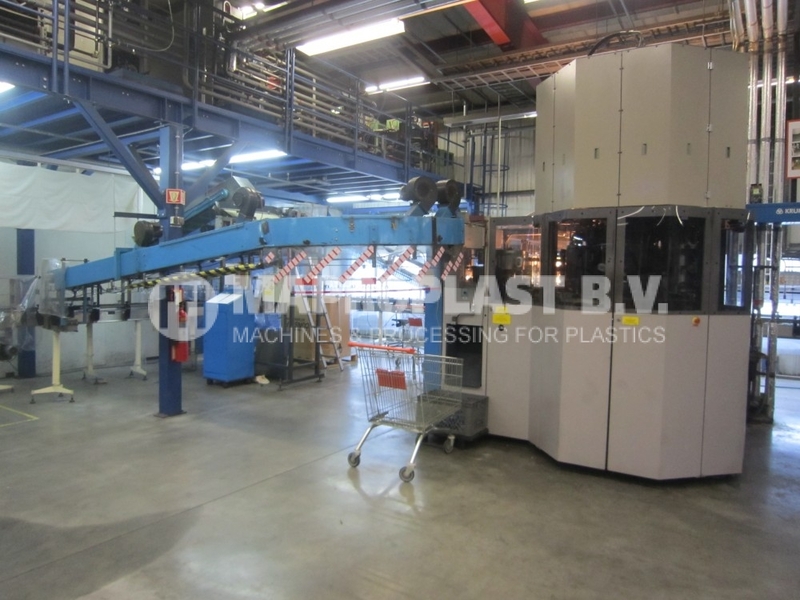 The B 66 consists of a central unit containing the main drive system and individual stations for feeding in the preforms, heating them and subsequently subjecting them to temperature equilibration, for blow moulding and for bottle discharge. With big swiveling doors and hinged elements covering the machine all round, the B 66 ensures ease of access for servicing, modifications and adjustments. 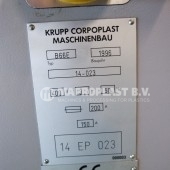 The machine is equipped with the well-known KRUPP CORPOPLAST system of continuous rotation of the mandrels. 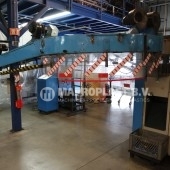 The mandrel rotation presents advantages in the particular for handling of preforms with very short and lightweight necks and allows the weight of the products to be reduced to the lowest possible figure. 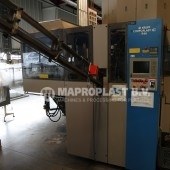 The basic frame of the machine consists of a simple welded structure, utilizing frame segments. This facilitates moving the machine by means of folk lift trucks. The preforms are fed from a hopper on to a conveyor belt which transports them into an unscrambling unit. A slide rail brings the preforms into the B 66 loading station, where they are inverted and positioned on the conveying mandrels neck down. Revolving around their own axis, they pass through the heating and equilibration section, thus being subjected to the best possible temperature distribution. Once the conveying mandrels have passed to the blow moulding station wheel, each open mould takes up one preform. 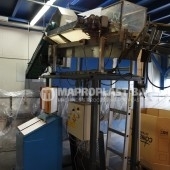 A cam-controlled system is responsible for the further processing: closing and locking the moulds, axial stretching of the preforms, unlocking and opening the blowing moulds. The switch-on points for compressed air blown in by the action of electromagnetic valves are controlled completely electronically. 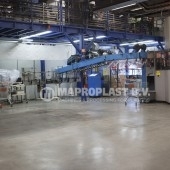 A mechanical take off facility transfers the bottles to guide rails which end in an air propulsion section. The main drive and braking system consists of a variable- speed DC motor. All wheels are driven by means of a closed-loop train of gears (according to the proven low maintenance concept). In the event of emergency stops, the machine setting remains unchanged. The system guarantees low operating and servicing costs and a high degree of operational reliability. Eight heating reflectors, each of them individually adjustable on nine heating levels, allow the preform temperature profile to be set exactly to optimize the bottle quality. 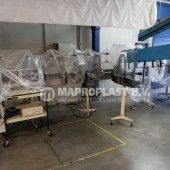 Preforms with a greater wall thickness, having better orientation properties and therefore less subject to permeation. Improved stability can be heated efficiently within a short time. This proven technology has been further improved due to a new reflector. High reflector temperatures ensure the correct wave length combined with optimum heat penetration into the preform. The nine heaters are durable and easy to fit, adjust and service. 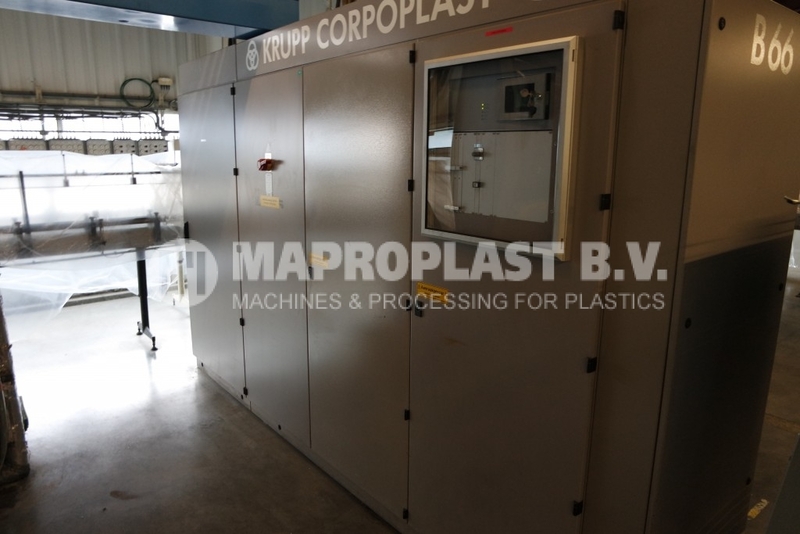 Thanks to their high degree of efficiency, combined with an improved, patented surface cooling system as part of the heating area, it has been possible to reduce again the comparatively low energy consumption per bottle of the CORPOPLAST heating system. 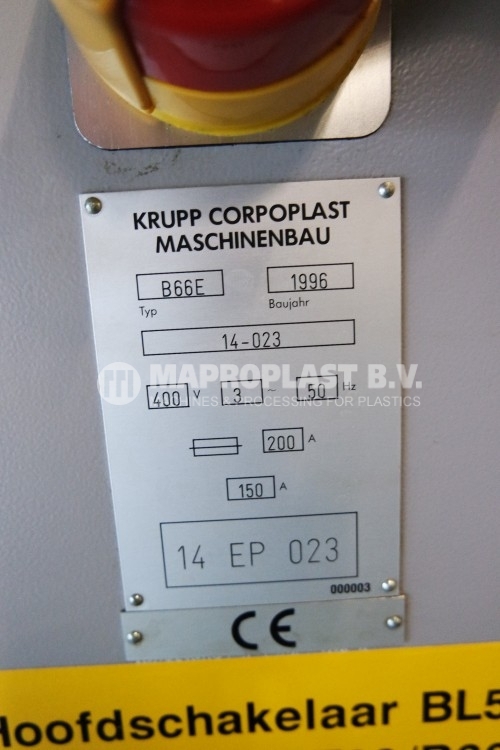 SKU: 13.0.202 Categories: Blow moulding equipment, PET Blowmoulder Brand: Krupp.